In talking about Apple (and SIri) over the last couple of days I started to think about what Apple does that is “right”. I know that most of the media and many consumers view almost any Apple product as glorious and Apple can do no wrong. While that is not true there is something important in that mindset and it finally dawned on me why Apple is vital to the future of the computer industry. It is not because they make amazing products with quality second to none. The fact is they make good products with the same quality as everyone else. If you did not know already every iPhone, iPod and Mac is made by Foxconn over in China. The line that assembles these is very close to the line that builds HP, Dell and others (at least they were the last time I checked). This means that the same level of build quality is present in all of those devices. If you are getting an Apple product there is not some magical line that makes their devices better. The same can be said for the components inside. The A4 and the original A5 found in the iPad2 was not manufactured by Apple it was made by Samsung (which makes the lawsuits very interesting and is another case of Apple biting the hand the fed them). The more recent ones (after April 2011) have been made by TSMC. These are the same guys that make nVidia and AMD GPUs as well as many other ARM processors. Again there is nothing that makes Apple product magically better using either of these companies. No it is not Apple’s hardware that makes them vital to the tech world. It is also not their software. True the iOS is fast and nimble, just like OSX is. However, it is fast and nimble on a very narrow hardware group. If you take it outside that and manage to get different hardware to work you will find that it is not so quick. In short terms the thing that makes Apple crucial and an amazing company is this; No one can sell a product like Apple. You just cannot do it. All you have to do is look back at recent history to see what I mean. For example, let’s take the MP3 player. Long before the first iPod hit there was an MP3 Player from Creative called Nomad that pretty much kicked things off. Many other companies came along and put out MP3 players at the same time, even D-Link had one. In fact the MP3 player looked like it was going to fade away when Apple released the iPod with a new device inside, the Micro Drive from IBM (and later Fujitsu). This meant that while other companies were pushing 16, 32 and 128 MB (yes Megabyte) Apple could put 1-2 GB and more space in their products. 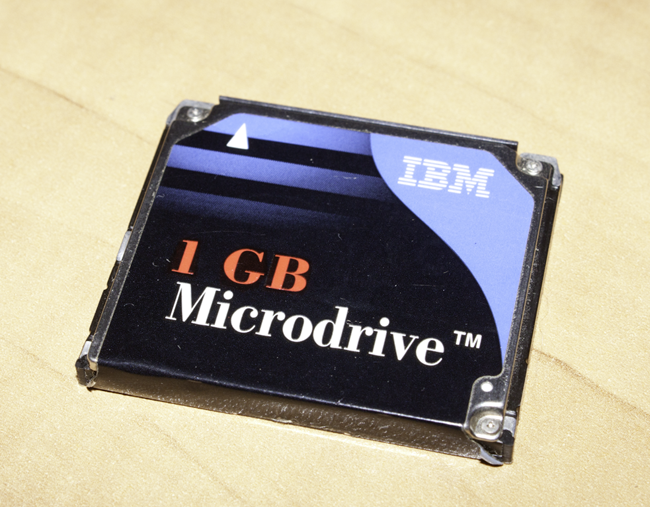 Later as these drives grew (and the advent of the 1.8-inch drive) the size of the iPod grew while other companies were barely getting by with the smaller amounts of flash memory. Apple’s product was not all that better, it was primitive with basic controls but it was good looking and offered more from the consumer’s point of view. This was even more true when you combined iTunes and the $0.99 song. Apple showed people that they wanted this product. The iPod became a synonym for MP3 player. You can follow this chain through the iPhone and the iPad. On the day the iPhone launched there were more sophisticated phones and phones with better support. However, the iPhone caught the consumer’s imagination. Suddenly they wanted these products. A touch screen phone? With icons. Wow. Of course there had been touch screen Windows Mobile phones and Palm based phones for years before. Still the smart phone market as an entertainment and business tool did not take off until Apple launched the iPhone. It is the same story with the iPad and now Natural Voice Command. Both of these products have been out for a long time, but Apple has been able to make people WANT them.